Leo XIII writes: ‘No human law can abolish the natural and original right of marriage, ordained by God’s authority from the beginning. . . . Hence we have the Family, the society of a man’s house, a society limited in numbers, but no less a true society anterior to every kind of state and nation, invested with rights and duties of its own totally independent of the civil community.’ (Encyclical Rerum Novarum, 1891). 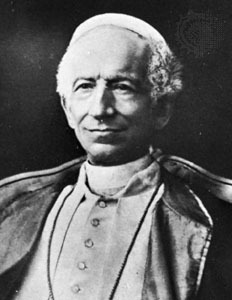 Hence, as Leo XIII pointed out elsewhere, in his encyclical on marriage (Encyclical Arcanum Diuinum, 1880), the alteration by the state of the fundamental laws that govern marriage and family life will ultimately lead to the ruin of society itself. No doubt the state will gain in power and prestige as the family declines, but state and society are not identical. In fact the state is often most omnipotent and universal in its claims at the moment when society is dying, as we see in the last age of the Roman Empire. As the vital energy of society declined, the machinery of bureaucratic administration grew more vast and more complicated, until the wretched provincial was often glad to abandon his household and take refuge in the desert or among the barbarians in order to escape from the intolerable pressure exercised by the ubiquitous agents of the bureaucracy.